Dolby Atmos is the name of a surround sound technology announced by Dolby Laboratories in April 2012 and released in June of the same year, first utilized in Pixar’s Brave. Sound moves around you in three-dimensional space, so you feel like you’re inside the action. Experience how Dolby Atmos® transports you from the ordinary into the extraordinary. It all comes together in a sound that excites your senses and inspires your emotions to deliver the full impact of entertainment. 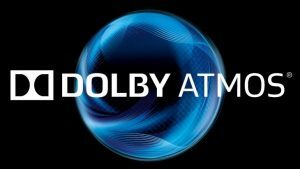 Dolby Atmos technology allows up to 128 audio tracks plus associated spatial audio description metadata (most notably, location or pan automation data) to be distributed to theatres for optimal, dynamic rendering to loudspeakers based on the theatre capabilities. Each audio track can be assigned to an audio channel, the traditional format for distribution, or to an audio “object.” Audio tracks that are assigned to channels, such as ambient sounds or centre dialogues, are pre-mixed to a “7.1.4” multichannel format: Dolby Atmos home theatres can be built upon traditional 5.1 and 7.1 layouts. 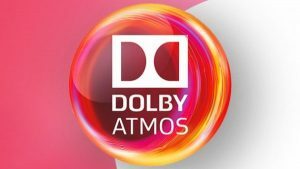 For Dolby Atmos, the nomenclature differs slightly: a 7.1.4 Dolby Atmos system is a traditional 7.1 layout with four overhead or Dolby Atmos-enabled speakers. With audio objects, Dolby Atmos enables the re-recording mixer using a Pro Tools plugin (available from Dolby) or a Dolby Atmos equipped large format audio mixing console such as AMS Neve’s DFC or Harrison’s MPC5, to designate the apparent source location in the theater for each sound, as a three-dimensional rectangular coordinate relative to the defined audio channel locations and theater boundaries. During playback, each theatre’s Dolby Atmos system renders the audio objects in real-time such that each sound is coming from its designated spot with respect to the loudspeakers present in the target theatre. By way of contrast, traditional multichannel technology essentially burns all the source audio tracks into a fixed number of channels during post-production. This has traditionally forced the re-recording mixer to make assumptions about the playback environment that may not apply very well to a particular theatre. The addition of audio objects allows the mixer to be more creative, to bring more sounds off the screen, and be confident of the results. 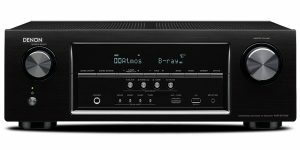 The first generation cinema hardware, the “Dolby Atmos Cinema Processor” supports up to 128 discrete audio tracks and up to 64 unique speaker feeds. The technology was initially created for commercial cinema applications and was later adapted to home cinema. In addition to playing back a standard 5.1 or 7.1 mix using loudspeakers grouped into arrays, the Dolby Atmos system can also give each loudspeaker its own unique feed based on its exact location, thereby enabling many new fronts, surround, and even ceiling-mounted height channels for the precise planning of select sounds such as a helicopter or rain. 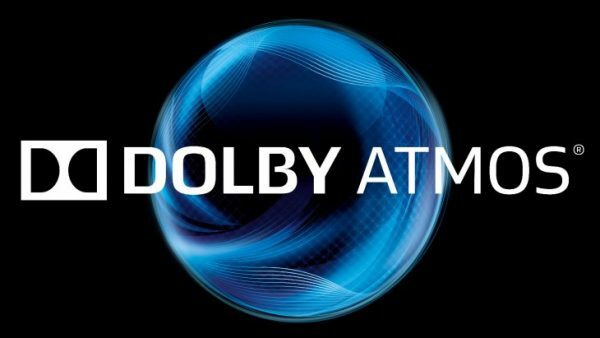 Because of limited bandwidth and lack of processing power, Dolby Atmos in home theatres is not rendered the same way as in cinemas. A spatially-coded substream is added to Dolby TrueHD or Dolby Digital Plus. This substream only represents an encoded representation of the object-based mix. This substream does not include all 128 discrete objects separated. This is not a matrix-encoded channel, but a spatially-encoded digital channel. Atmos in home theatres can support 24.1.10 channels and uses the spatially-encoded object audio substream to mix the audio presentation to match the installed speaker configuration. The spatial audio coding tool is applied to the cinematic object audio mix when filmmakers remix and render the TrueHD and Dolby Digital Plus soundtracks with Dolby Media Producer.